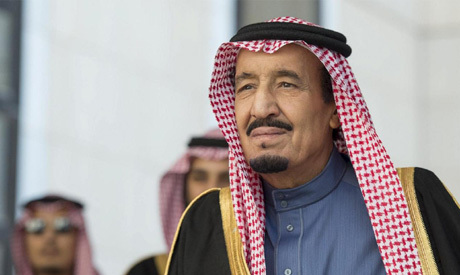 Saudi Arabian King Salman bin Abdul-Aziz pronounced a large package of decrees as 2018 drew to a close, ushering in sweeping changes in central and provincial government and institutions in the kingdom. One of the most important was the appointment of former finance minister Ibrahim Al-Assaf as foreign minister to replace Adel Al-Jubeir, long the face of Saudi foreign policy in the international press. Al-Jubeir was made minister of state for foreign affairs. “The minister of foreign affairs and the minister of state for foreign affairs are the leaders of diplomacy,” the Saudi Foreign Ministry Website stated, adding that Al-Jubeir will now focus on “administrative and diplomatic” affairs in keeping with the conventional functions of a minister of state. News reports painted Al-Jubeir’s “demotion” as Riyadh’s way of showing that “something has been done” in response to the murder of the Saudi journalist Jamal Khashoggi in the Saudi Consulate in Istanbul in October. “While it is highly unlikely that Adel Al-Jubeir, the foreign minister at the time, knew anything about it, the consulates are his responsibility and the crime took place on his watch. Something needed to be seen to be done,” observed BBC’s security correspondent, Frank Gardner. Appointing Al-Assaf to replace Al-Jubeir did come as a surprise, however. Finance minister since 1996, Al-Assaf does not have experience in diplomacy. However, as one of his country’s most long-serving ministers and most prominent representatives internationally, he is not alien to international relations. Al-Assaf was one of the detainees caught up in Saudi Crown Prince Mohamed bin Salman’s earlier anti-corruption crackdown in Saudi Arabia. He was soon released from his detention in Riyadh’s Ritz Carlton Hotel and reinstated in his post, however. “Investigations have proven that all the charges levelled against me are groundless,” he told the press at the time. Although Mohamed bin Salman and Prince Abdul-Aziz bin Saud bin Nayef remain minister of defence and minister of interior, respectively, under the new reshuffle, King Salman appointed a new minister of the national guard in Prince Abdullah bin Bandar bin Abdul-Aziz, a graduate in business studies from King Saud University in Riyadh who has worked alongside the crown prince for many years. Badr is a descendant of Farhan bin Saud, brother of Imam Mohamed bin Saud, the original founder of the Saudi state in the 18th century. Most of the newly appointed princes are from the younger generation and are aged in their mid-thirties or below. Another significant appointment is Turki bin Abdullah Al-Shabana as media minister. Al-Shabana, a media professional, has had a long career in the industry and has launched numerous channels for the MBC and Rotana TV networks. In addition to reshuffling the Saudi Council of Political and Security Affairs and Council of Economic and Development Affairs, both headed by the crown prince, King Salman has established new bodies such as the Court of the Council of Ministers, the Space Commission, the Government Procurements Authority and the General Commission for Exhibitions and Conferences. He has not yet appointed a head of the Court of the Council of Ministers, which carries out tasks relevant to the cabinet, but he has appointed a head of the Space Commission in Prince Sultan bin Salman, a son of the Saudi king and the first Arab astronaut. He has also appointed Prince Abdul-Aziz bin Turki bin Faisal as chairman of the board of the Sports Authority, relieving Turki Al-Sheikh, and he has appointed Khaled bin Qarar Al-Harbi as director of public security. King Salman had also engaged a number of royal advisers, most notably Mohamed bin Nawaf bin Abdul-Aziz, the Saudi ambassador to the UK. With regard to provincial appointments, the Saudi monarch has relieved Prince Faisal bin Khaled as governor of the Asir region, in accordance with his request, and replaced him with Prince Turki bin Talal. He has relieved Prince Bader bin Sultan as governor of Al-Jawf and replaced him with Prince Faisal bin Nawaf. The royal decrees included a female appointee in Iman bint Habas bin Sultan Al-Mutairi as assistant to the minister of commerce and investment. The government overhaul has been cast as related to the Khashoggi affair in the Western press. Riyadh has acknowledged that “rogue elements” from its security agencies carried out the murder of the Saudi journalist in Turkey, but Al-Jubeir when foreign minister accused the Western media of “hysteria” in its coverage of the Khashoggi case and cautioned that criticism of the Saudi king and crown prince were “red lines” for Saudi Arabia. In October, King Salman issued decrees dismissing royal adviser Saud Al-Qahtani, deputy head of intelligence Ahmed Asiri, and several senior officers. He also restructured the Saudi security and intelligence agencies in order to ensure that such an incident would “never be repeated,” Al-Jubeir said at the time. Al-Qahtani, Asiri and many other intelligence officers were placed under investigation for the murder of Khashoggi. “The appointments of myself and others and the cabinet reshuffle have no relationship to the Khashoggi case,” insisted Ibrahim Al-Assaf in a statement to the press following his appointment as foreign minister. “Naturally, the Khashoggi case has saddened us all, and the government has taken firm measures in this regard. However, we are not experiencing a crisis. We are undergoing transitions. The whole country has changed,” Al-Assaf said. It would be difficult to attribute a government overhaul on such a scale to a single cause, no matter how important. Moreover, the changes began before the Khashoggi incident, and they were meant to be far reaching and structural. Many observers believe they will now go further. A major factor behind them is the global trend towards renewable energy sources in order to reduce dependency on fossil fuels, which will have a major impact on the economies of the petroleum-exporting countries. However, Saudi society is also a youthful one, and it is demanding changes suited to its outlooks and capacities. *A version of this article appears in print in the 3 January, 2019 edition of Al-Ahram Weekly under the headline: Reshuffle in Saudi Arabia.